one-two & you are through! 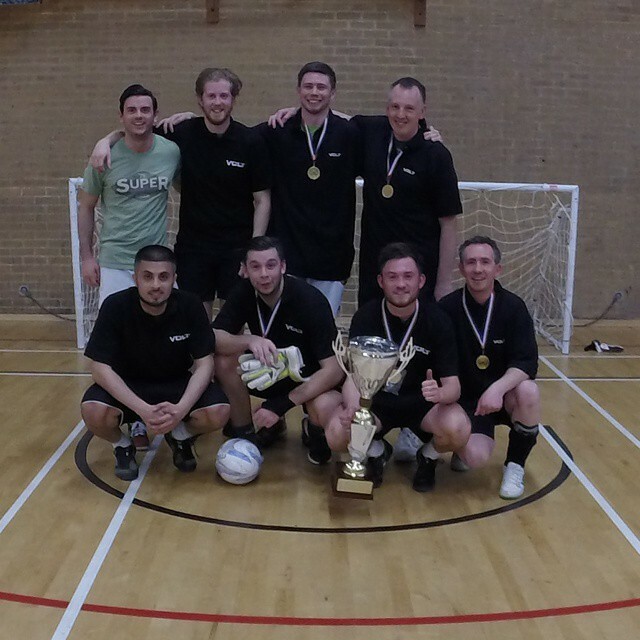 Congratulations to Volt for claiming their fourth Futsal league title and winning it 3 times in a row! They are in remarkable form and look almost unstoppable at this rate! Black & Veatch were runners-up and had the chance to challenge the title holders but couldn’t deliver on the day. Select Music slipped to third place, they know how to play but seem to have lost the edge they once had over teams. IMC Worldwide started to pull together some good results towards the end of the season which looks promising for the future! It’s been a good season and look forward to it starting again! Congratulations to Volt on claiming their third Thursday lunch time league title! They are also the first team to win the title consecutively and before all games have been played! Congratulations to Volt for winning the Winter 2014 League title! Select Music came runners up who had pole position for majority of the season but in the final show down they couldn’t prevent Volt from getting a vital 2 goals to clinch the title by 1 goal difference. Goal of the season went to O. Chaloupka of Black & Veatch when he lobbed Volt’s goalkeeper from close range. Team of the Season comprised of C. Stanbridge (SESW Goalkeeper), G. Jones (Black & Veatch), J. Wales (Select Music), C. Hamilton (Volt) and A. Budgen (Select Music). It’s been a great season and looking forward to seeing what happens next time round! ©2014 Pass and Move it - all rights reserved.